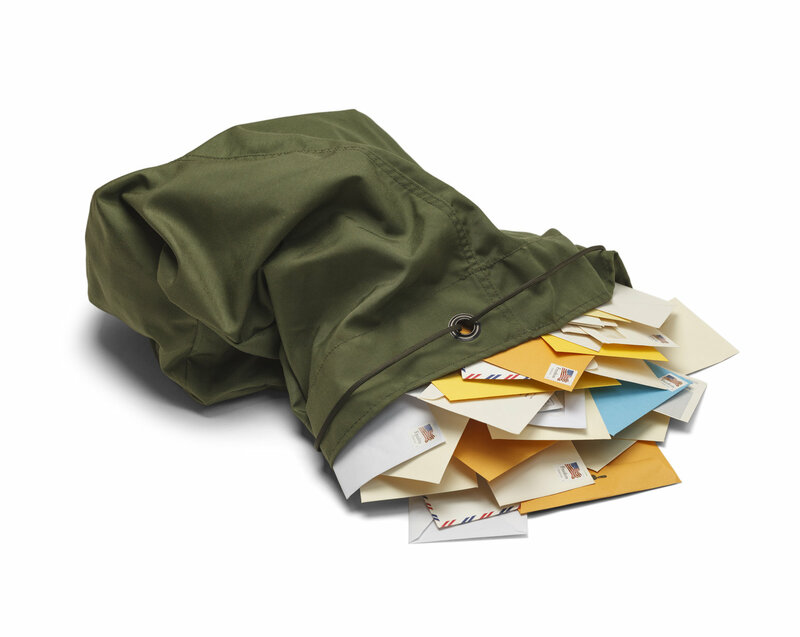 A Note From the Editorial Director: Our Mailbag is full of reader questions and comments. Feel free to add to it by sending your questions to mailbag@investmentu.com or by clicking the "comment" link at the bottom of the article. Today, Marc responds to a question we hear often about trailing stops. This "When to use stop losses" and "When to not use stop losses" question has me puzzled. I have read your book and have been investing in dividend stocks using your 10-11-12 method. I also get your Oxford Income Letter. Since I'm in this for the long haul I thought I had read that you suggested not to use stop losses as long as the stock is performing according to the 10-11-12 criteria. But in your "Is It Time to Panic" column you mentioned using stop losses. Can you please help me understand when to use stop losses, and when not to? Bill, thanks for giving me an opportunity to clear up a common point of confusion. I've received quite a few questions lately on whether to use stop losses when dividends are being reinvested. The Oxford Club's standard recommendation is to place a trailing stop 25% below your entry price. As the stock rises, so does your stop. This strategy got us out of many of our positions with solid profits during the meltdown in 2008 and allowed us to continue buying stocks at the lows of 2009. My colleague Alex Green closed an incredible 49 positions in the Oxford Trading Portfolio for a total gain of almost 29% in 2008, a year the S&P crashed 38%. By year's end, we were left with only seven open positions. But in 2009 we picked up 17 new stocks at bargain prices. That's the power of trailing stops. I agree with this approach and use it in all of my newsletter and trading service portfolios, except for one: The Oxford Income Letter's Compound Income Portfolio. The Compound Income Portfolio is for long-term investors who do not need the income today and are instead reinvesting their dividends into the stocks that pay them. When you reinvest dividends, you automatically buy more shares with the dividends received - usually with no commissions or fees attached. So if you have 100 shares of a $20 stock that pays a 4% yield, the $20 quarterly dividend would be used to buy another share of stock, giving you 101 shares. The next quarter you'd receive $20.20, which (assuming the stock price is the same) would buy you another 1.01 shares, upping your total to 102.01 shares. Now, this may not seem like much, but if the company raises the dividend 10% every year and the stock climbed by the market's historical average of 7.48% per year, your $2,000 initial investment would more than triple to $6,355 in 10 years and be worth $22,603 in 20 years. I don't use the trailing stop on this portfolio because a bear market can be a dividend reinvestor's best friend. In our example above, let's say we're in a bear market and the stock falls to $19 when it's time to reinvest our dividend. Instead of buying one share in the first quarter, our $20 dividend now buys 1.05 shares. In the second quarter, if the stock is down another dollar, our 101.05 shares buys 1.12 shares. So we're accumulating more shares, which generates more dividends, which allows us to accumulate more shares and the compounding machine kicks into overdrive. Let's assume we hit a nasty bear market and our stock falls 5% per year for five years, and all the while we're reinvesting the dividend. After five years, we now have more than 131 shares and the stock price is $15.46. Meanwhile, that $20 quarterly dividend is now up nearly 50% to $29.28. If the stock had climbed the historical average 7.48%, we'd have had 122 shares, nine fewer than what we have in the bear market example. In the bear market example, we're earning more than $83 more per quarter in income than in an average market. That $83 difference is more than the entire yearly dividend that we received when we first bought the stock. See how powerful compounding can be? When reinvesting dividends, we want to own as many shares as possible so that compounding can work its magic. But remember, this is a long-term strategy. You need the intestinal fortitude to be able to ride out a bear market and know that you're accumulating more shares during those tough times. This is a strategy aimed at tripling your money in 10 years and generating a return of 10 to 11 times your money in 20 years - in conservative stocks. And if we hit a nasty bear market and recover, like we did over the past six years, you'll make even more as long as you continue to reinvest the dividends. As long as the companies are generating enough free cash flow to continue to pay and raise their dividends, I'm not worried about bear markets. Keep in mind that just because the price of a stock goes down doesn't mean its dividend is in jeopardy. There are 444 companies that raised their dividend every year through the 2008-2009 financial crisis. Imagine if you'd been reinvesting in one of those companies for a few years when the market crashed. You've accumulated a bunch of shares and all of a sudden, your dividends, which are 50% higher than when you first purchased the stock, can now buy stock at half off. You'd be able to accumulate a lot more shares, which will spin off even more income over the coming years as the dividend continues to rise. The time to worry about bear markets is when you're getting closer to needing the money. At that point, you can start putting stops in place or simply take the money out of the markets. Because of the unique benefits of lower prices for dividend reinvestors, the Compound Income Portfolio is the exception to The Oxford Club's trailing stop recommendation. P.S. I'll be talking more about dividend investing at the Investment U Conference March 26-29. It's our biggest event of the year, with more than two dozen speakers, including Alexander Green, Bjørn Lomborg and yours truly. Normally you'd pay at least $2,700 to attend. But you can access all the priceless speaker information for a fraction of that cost, without leaving your house. Click here for the details. An excellent example of Marc's thesis today is Meredith Corp. (NYSE: MDP). The media firm is a charter member of his Compound Income Portfolio, and he explains below why he loves it. Shares of Meredith rewarded investors with huge gains in 2013, but the market has taken some of that back this year. It's down 12.6%. "The stock price plunged in January during the sell-off, falling further than the S&P 500. "There was no news specific to Meredith that should have caused it to slide so much. I suspect that when a boring, not particularly well-known dividend payer is up so much more than the broad market (the stock was up 56% in 2013) and the market sells off, people panic, take their profits and hide under the covers. "And although the stock decline causes some heartache, I'm not too upset it happened, considering that we're in this for the long term. The price decline means that the yield is now 4%, which gives new investors an opportunity to get into a Perpetual Dividend Raiser with a great track record. Current shareholders, who are reinvesting the dividend, can also get more bang for their buck than they got last quarter. "Meredith Corp. is a media company that owns household-name magazines like Better Homes and Gardens and Family Circle. It also owns over a dozen TV stations around the country. "In late January, it reported fiscal second quarter 2014 earnings that were in line with estimates and the company reiterated full-year earnings per share guidance of $2.60 to $2.95. "Meredith also recently raised its dividend by over 6% to $1.73 annually. This is the 21st year in a row that the company hiked the dividend. It has paid one continuously since just after the end of World War II. "Meredith owns 11% market share of all magazines, which is incredible considering it is focused mainly on women. It has 39% of the market share in its categories. "It is the No. 1 player in the food, parenthood and home categories with titles like Everyday Rachel Ray, AllRecipes, American Baby, Parents, Better Homes and Gardens and Ladies Home Journal. "But don't think for a minute that this magazine company is stuck in the 1950s. Its digital offerings are impressive. "Meredith is also the fourth-largest brand licensor in the world. That means you can buy Better Homes and Gardens patio furniture at Wal-Mart (NYSE: WMT) and Parents-brand toys. The stock trades at below 14 times forward estimates. Earnings are expected to grow 15% annually over the next five years. The company has a great track record and only pays 38% of its free cash flow in dividends. "I don't know where Meredith's price will be tomorrow or next week. But with those great metrics and a history of performance, over the long term I expect it to generate big returns for shareholders."